Branson has many nationally branded hotels. It also has many high-quality family owned inns and motels offering their own unique brand of Ozark hospitality. 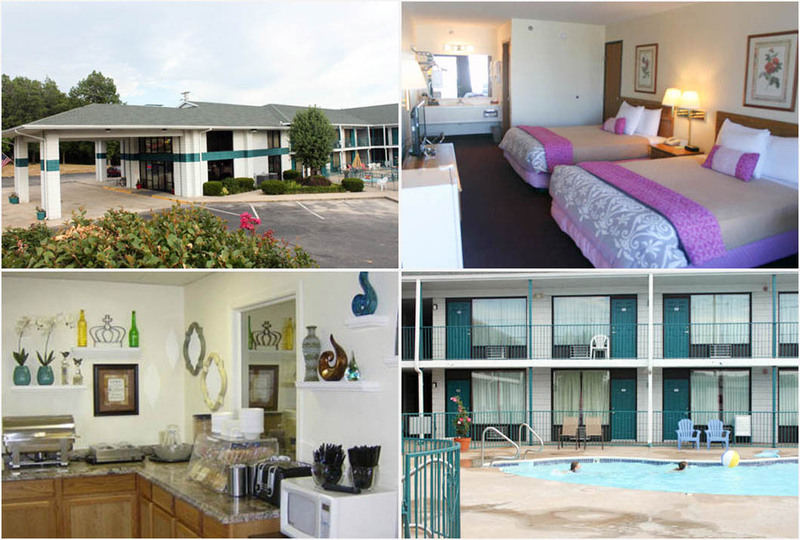 The locally owned and operated, Ozark Valley Inn is a perfect example. The 76 room Inn occupies a beautiful peaceful location next to the Promised Land Zoo. It’s away from the hustle and bustle of Branson while offering easy access to all the fun and excitement it offers. The Pierce Arrow, Hamner’s Unbelievable Variety, and Shoji Tabuchi shows; the IMAX Complex; and restaurants including Red Lobster, Golden Coral, and the Paradise Grill and Steakhouse are not two minutes away. The Branson Strip and Tanger Outlet is fewer than five. It’s easy to get anywhere in Branson quickly and efficiently using Branson’s Alternate Colored Route System. Branson Landing is one of Branson’s most popular shopping destinations and attractions. A right turn out of the Inn’s parking lot, onto the Branson’s Alternate Red Route, the Shepherd of the Hills Expressway, has you enjoying Branson Landing within 10 to 15 minutes. Nina said that they are extremely environmentally conscious. Over the last two years, they have installed solar panels. Over 30 percent of the electric power the inn uses comes from those solar panels. All rooms feature standard amenities, a cheery decor, free wireless internet, and much more. Guests will enjoy a deluxe complimentary breakfast with Belgian waffles, cinnamon rolls, biscuits & gravy, fruit, cereal, and more. Property wide amenities include WiFi, meeting room, a beautiful outdoor pool, hot tub, a game room, deluxe business center, and guest laundry room. The Inn participates in Branson Tourism Center’s Lowest Rate Lock Guarantee Program. Under the program, the Branson Tourism Center, one of Branson’s largest and most respected vacation planning services, guarantees that the price you pay for lodging accommodations booked at the Ozark Valley Inn through BTC will be the lowest rate available. If you find a lower price offered, anytime between when you book your room and when you arrive in Branson, BTC will match the lower rate. It’s that simple. For information or reservations for the Ozark Valley Inn, please contact the Branson Tourism Center by calling 1-800-785-1550 or through its website, www.BransonTourismCenter.com. This entry was posted in Branson Lodging, Featured on March 2, 2017 by Gary Groman.